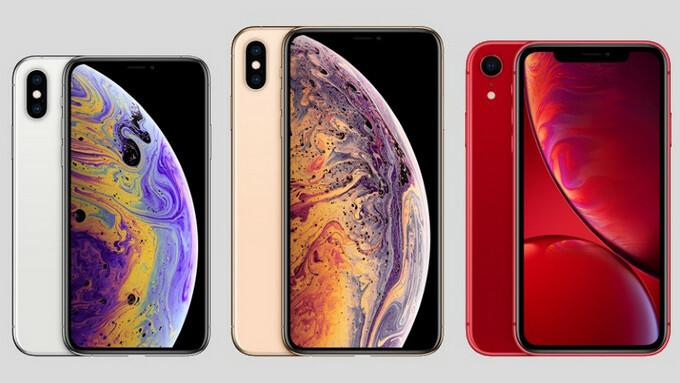 How to Convert Videos for iPhone XR/XS/XS Max? How to Convert Videos for Your iPhone XR/XS/XS Max? There are so many different video formats, so a free video converter is essential on your PC or Mac, especially if you want to play a particular video on your portable devices. 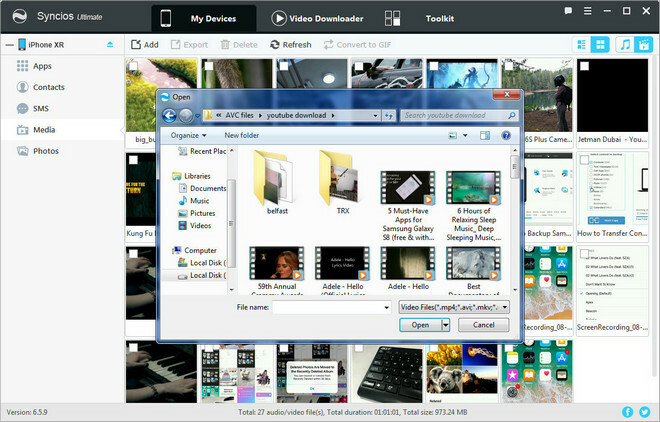 Of which Any Video Converter Free is capable of handling videos from any source, including from your computer or online files from YouTube and more. 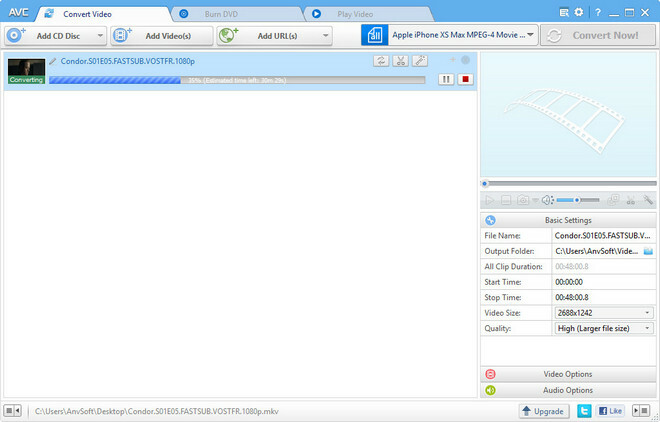 And it is the best video converter you can download today. Here we would like to show you how to convert and transfer videos to you iPhone X, iPhone XR, iPhone XS, iPhone XS Max, so that you can enjoy any videos while traveling or no internet connection. iPhone XR/XS/XS Max Video and Audio Playback Format. 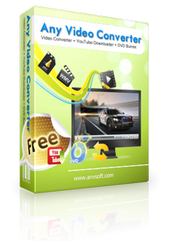 Download and install Any Video Converter Free on your Windows PC or Mac, then launch this powerful video converter. 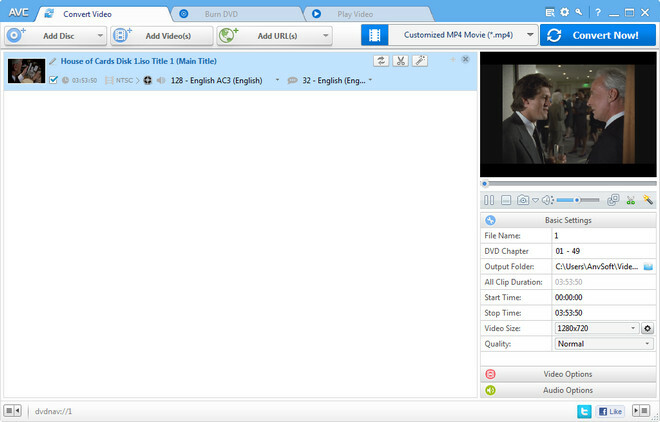 You can click on "Add Video(s)" button or drag & drop to add videos from your local drive. Any Video Converter Free accepts any video files including MP4, MPEG, WMV, 3GP, 3G2, MKV, MOV, M2TS and more. Tips: If you want to convert DVD Disc, DVD Folder, or ISO image to play on your iPhone XR/XS/XS Max, you can upgrade your Freeware to Any Video Converter Ultimate. After finishing add source videos to Any Video Converter Free, you can click the "Output Profile" to choose the specific output format for you iPhone X, iPhone XR, iPhone XS, iPhone XS Max. After choosing the output format, you can customize the output settings under the Basic Settings, Video Option, and Audio Options on the lower-right panel of Any Video Converter Free. 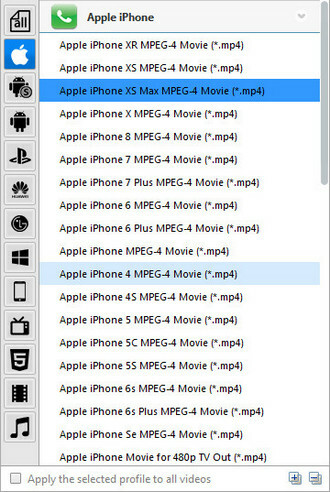 For example, you can choose the video size, video quality, video codec, video bitrate, frame rate, video aspect, audio codec, audio bitrate, audio channel and more. And you can use Any Video Converter Free to edit your source video, including clipping, cropping, rotating, merging, add SRT subtitles, adding audio tracks, adding water mark, special effects. Now you can click on "Convert Now!" button to start converting your source videos to the output format for iPhone X, iPhone XR, iPhone XS, or iPhone XS Max. After the conversion is completed, the output profile will pop up automatically to let you check the well converted videos. Finally, you will need to transfer the converted videos to your iPhone X, iPhone XR, iPhone XS, or iPhone XS Max. Here you can use Syncios Manager to import videos, and other more data including music, photos, apps, ebooks, contacts, messages and more to iPhone X, iPhone XR, iPhone XS, or iPhone XS Max. Now you can watch the videos on your iPhone X, iPhone XR, iPhone XS, or iPhone XS more freely, especially when you traveling or internet disconnected. Just simply download and install Any Video Converter Free to discover more amazing features. And if you need more options, we also offers a premium video converter, Any Video Converter Ultimate, which can record videos screen from Netflix, Amazon Video, Hulu and burn videos to disc.